When it comes to human capital, "risk" and "uncertainty" are two different concepts, and they need to be addressed separately in order to minimize risk. In a world characterized by rapid technological change, perpetual product innovation, economic globalization, and generational and cultural shifts, the life cycle of products and business designs is shortening. Companies are constantly obliged to adapt. It is often human capital, more than financial or physical capital, that enables effective adaptation to these new realities. And it is often human capital that is at greatest risk of sudden depreciation or outright obsolescence within a business. In face of this business reality, the absence of disciplined management and quantification of the risks to business performance and value emanating from the people side of operations — i.e., human capital risks — is particularly glaring. Unfortunately, those in the finance and risk management functions who are traditionally in charge of risk management often lack the perspectives and tools required to do this job. All too often, HR remains shut out of the risk management function. The sheer number of company meltdowns that have originated with problems in human capital management makes clear that the failure to embed human capital (HC) risk assessments within the risk management function is a major and dangerous omission. Such problems include, for example, inadequate supervision or governance, sales incentives that inadvertently encourage opportunistic behavior or outright malfeasance, and executive compensation plans that encourage myopic decisions or excessive risk taking. The good news is that the proliferation of workforce data and spectacular advances in the new discipline of “workforce sciences” offer the means for organizations to address this gap in risk management. Today’s workforce analytics enable organizations to identify and measure the workforce and business impact of their management of human capital. Effectively mobilized, these methods can help improve workforce decisions as well as flag and prioritize looming HC risks. Spurred by these developments, HC management is emerging as the newest, often most important and surely most complex form of asset management, subject to the same kind of disciplined thinking and quantification traditionally applied to the management of other assets. The flip side of optimizing HC investments is minimizing and effectively allocating HC risks. A simple framework for characterizing and assessing the nature of the HC risks confronted can help organizations better understand how to apply appropriate measurement tools. Drawing on the seminal work of the 20th-century economist Frank Knight, we propose a taxonomy to classify HC risk, distinguishing HC risk from HC uncertainty. The former signifies workforce-related fluctuations in business performance that, although unknown before they materialize, nonetheless emanate from a known or knowable probability distribution that can be identified and measured based on the relative frequency of their past occurrence. The latter pertains to situations in which not only the outcomes but their underlying probability distributions are unknown. The fluctuations in outcomes associated with HC management are so idiosyncratic or “one-off” in nature that there is no reliable basis for deriving a probability distribution from which they can be generated. As such, these fluctuations cannot be anticipated on a quantitative basis. The analytical approaches best suited to address HC risk as compared to HC uncertainty are distinct. The approach to HC risk involves statistical modeling of the running record of business performance (e.g., profitability, revenue growth, workforce productivity, etc.) to identify and quantity their sources of variation and the specific workforce characteristics and practices that affect them. Understanding which people factors most influence these variations and how to optimize can help a management team expose and contain HC risks to the business. The approach to HC uncertainty involves institutionalizing strategic workforce planning as a business process, backed by statistical modeling of the key talent flows of entry, development, retention, and rewards — what we call “internal labor market” (ILM) dynamics — that actually create an organization’s workforce. It combines rigorous analytics with disciplined process to engage HR, operations, and finance around a common goal, rooted in future business requirements and realities. So, for instance, a major technology company in the midst of a far-reaching business transformation launched an enterprise workforce planning process to identify what new knowledge, skills, experience, and workforce behaviors would be required to make new business models successful. The company undertook advanced “ILM Modeling” to determine how well it was, in fact, transforming its workforce to meet the new talent requirements and where significant gaps would likely materialize. In this way, the company could anticipate and address the human capital uncertainty that posed a serious risk to their ability to transition their business successfully. Following are two case examples that illustrate the value of applying workforce analytics and the specific measurement and statistical modeling methodologies used for each type of HC risk. A large health services organization used statistical modeling of longitudinal data on business performance to estimate the impact of rising employee turnover across its operations. This modeling determined that, all else being equal, each five-percentage-point reduction in turnover was associated with a reduction in unit cost of about $65 million and an increase in margin of more than $30 million. So, a trend toward higher turnover certainly posed a significant HC risk to the business. How could the organization insure against this form of HC? Statistical modeling of the drivers of voluntary turnover showed that health benefits were among the strongest predictors of employee retention. Employees covered by company health benefits were more than 70% less likely to turn over than otherwise comparable employees who were not covered. In effect, investments in health benefits for employees functioned as an insurance premium to guard against the documented cost increases and reduced margins resulting from excessive turnover. Businesses routinely secure third-party insurance against different forms of business loss. In this instance, the company had the option to “self-insure” against the negative effects of unwanted turnover using one particular component of their total rewards program. The insurance worked both by encouraging selection of employees with a lower propensity to turn over (the “adverse selection” issue) and by motivating incumbent employees to remain (the incentive or “moral hazard” issue). Backed by hard evidence on business impact, such a perspective changes the calculus of cost and return that should guide HC investments. Applying a purely financial or expense lens to the consideration of health benefits, as is the norm, would not generate the same insight. Sometimes the very policies designed to shift HC risk from the employer to employees actually result in raising HC uncertainty for the organization. For instance, when organizations shift from traditional defined benefit (DB) to defined contribution (DC) or other account-based pension plans, they can end up forfeiting their influence over the timing of retirement, leaving it instead to the vicissitudes of the market that affect account balances. This in turn constrains the choices regarding hiring, promotion, and career development. The cascading interactions among these talent flows can be dramatic; they limit management’s ability to shape their workforce and thereby generate HC uncertainty. This is precisely what happened to a large, global consumer products company; call it ConsumerCo. Like many companies, it had abandoned its DB plan, relying instead on a DC plan to support employees’ retirement needs. When the financial crisis hit in 2008-2009, the value of employees’ DC accounts imploded, leaving many with inadequate income to retire. In the low-growth environment of that time, the slowdown in retirement led inevitably to a significant slowdown in the velocity of talent movement inside the organization, manifested in the emergence of career “choke points” at rather low levels in the career hierarchy. This is a particularly dangerous pattern for organizations that build their workforces from within, as was the case for ConsumerCo. Reasonably high talent velocity, via promotion and lateral moves, is critical to delivering incentives for employees to join, grow, perform, and stay with the organization. The cascading effects of delayed retirement are inimical to this outcome. With nowhere to go, up-and-coming, high-performing talent at ConsumerCo were heading out the door, challenging the company’s ability to secure the workforce the business required. ConsumerCo was now awash in HC uncertainty, something their leadership had not anticipated because measuring the likely workforce impact of changing the retirement plan design was not even on its radar. From a financial perspective, DB plans are indeed associated with significant financial risks and liabilities that can be circumvented by DC and other account-based plans. But from a human capital perspective, they have an important attribute not inherently present in DC plans: they offer built-in incentives for employees to retire once eligible. The strength of these incentives can be manipulated through changes in key plan-design parameters. As such, DB plans facilitate hands-on management of retirement choice and thereby strengthen management’s control of the dynamics of the internal labor market. By shifting away from its DB plan without countervailing measures, ConsumerCo, in effect, had given up managerial control over the one market it actually had the ability to steer, its internal labor market. The result, ultimately, was to impede workforce optimization and increase labor cost. Once again, an organization had fallen victim to the law of unintended consequences that plays out so pervasively in the area of human capital management. Advanced workforce analytics combined with disciplined process and the right mindset can help organizations anticipate and mitigate such unintended outcomes and make HC risk management an integral part of the enterprise’s risk management function. Finance needs to raise its game by finally recognizing HC management as a form of asset management and displacing the standard accounting view of human capital, with its focus on expense, with an economic view that emphasizes workforce productivity and value. HR needs to come off the sidelines, delivering the quantification and business-driven insights that constitute the hard science of HC management in a language that business leaders understand. Together they can usher in a new era of enterprise risk management where the identification and mitigation of HC risk and HC uncertainty are every bit as prominent as the management of financial, operational, and hazard risks. 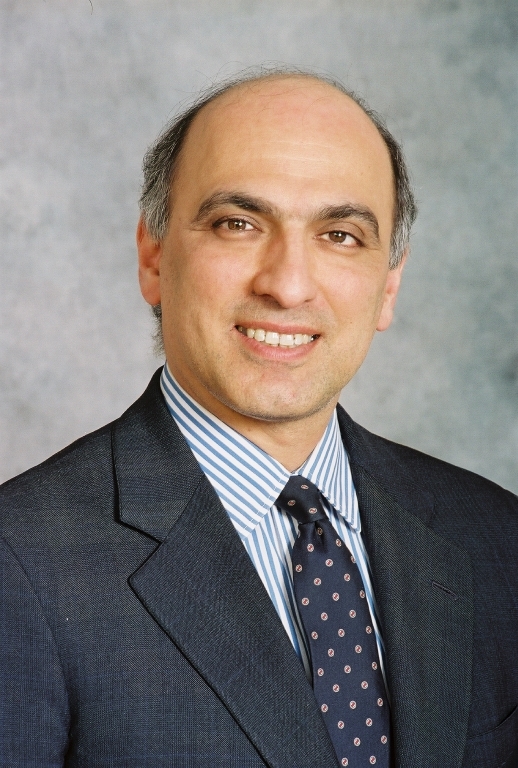 Haig Nalbantian is senior partner and co-leader of the Mercer Workforce Sciences Institute. All capitals must be addressed in a balanced way that equitably satisfies the needs, expectations and aspirations of stakeholders while making the best use of resources which is the principle of integrated management. Agreed. The problem is that most Finance departments don’t have the tools and methods to identify and quantity risks associated with the human capital (HC) asset, at least not on par with those used to measure risks related to other assets. In fact, the tools do exist as I try to show. There needs to be a commensurate change in the mindset of Finance leaders about HC risk involving recognition of the significance of these risks to business performance and championing of the hard science that is now applicable to the people side. Time for a more vigorous dialogue on these issues.